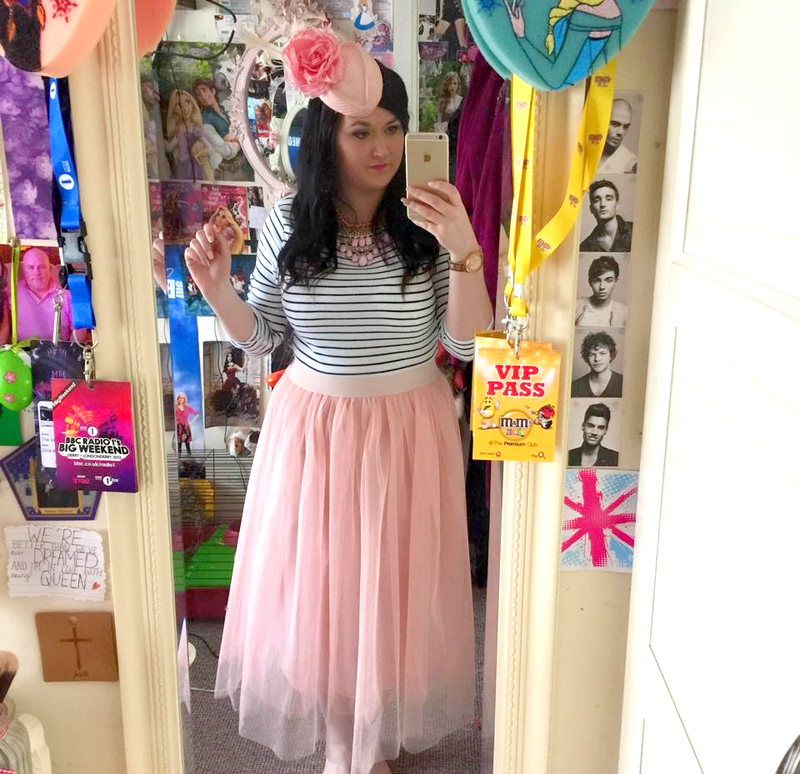 Being obsessed with Carrie Bradshaw's style (and let's be honest what girl isn't) I decided to go with a Tulle skirt taking her style into consideration and so pairing the skirt with a plain striped top with a statement necklace and heels, let's not forget a hat also to finish off the outfit! The skirt I got from Boohoo and it only cost €24.00 which I thought was such a brilliant price as I had looked at ones that looked the exact same but cost triple the amount! My top was just a plain navy striped top from Dunnes Stores that cost €8.00 I never knew how hard it was to shop for a striped top until I needed one for this outfit. Either the stripes were too big or non existent so I was so happy when I came across this one. My shoes I am absolutely in love with and are from River Island. I will admit though they are the most uncomfortable pair of shoes you will ever put on your feet, they only cost €50.00 which I was so surprised by as I thought they were going to be much more expensive. No matter how much pain they put me through I still absolutely love them. 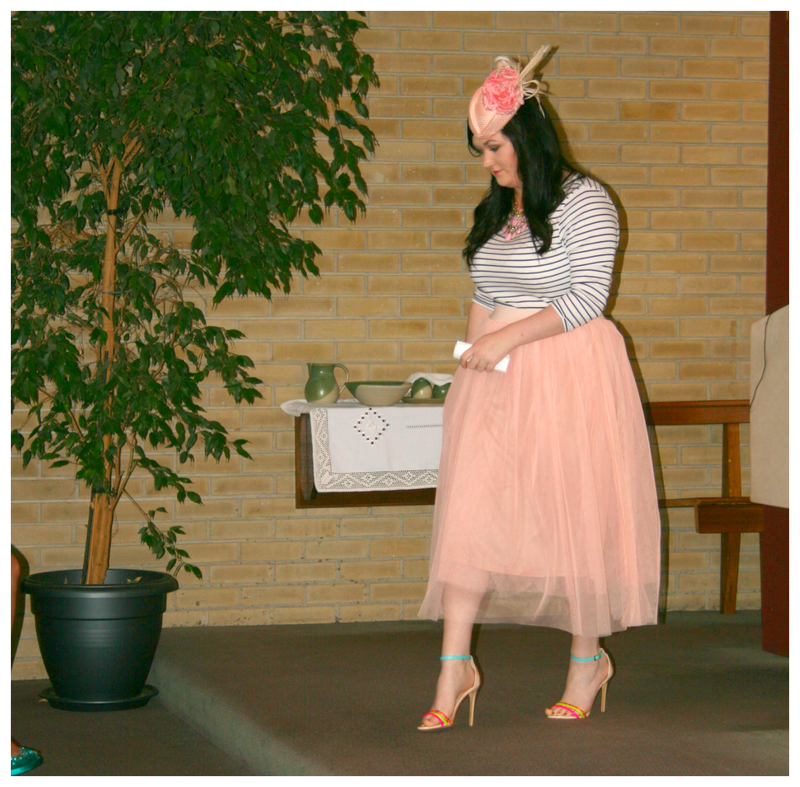 Finally my statement necklace and headpiece were both from a local boutique! I will admit though once the night was over and we finally got home I was so happy to be able to change back into my comfortable pyjamas as always! The idea is so uniqe! the skirt color is gorgeous!